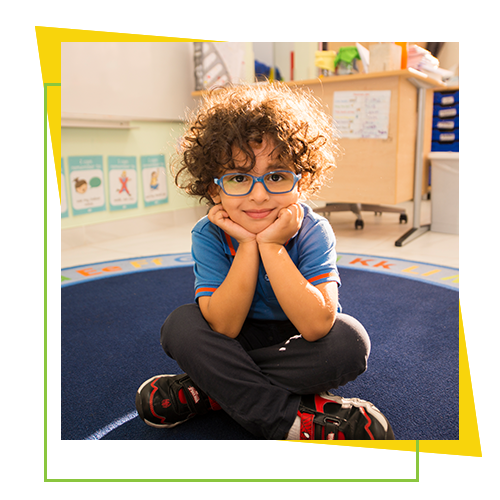 Welcome to Admissions at Smart Vision School Dubai! Smart Vision School is committed to providing a British education of the highest quality, to residents of Dubai. We address the diverse needs of our pupils, offering a strong foundation in all aspects of learning, to challenge and prepare them for a successful future. We understand that selecting the right school for your child is an extremely important decision and we are delighted to assist you further in our admission process to help you to understand our school and application process. This section provides details about the admissions process, tuition and fees. We welcome enquiries from families throughout the year, so please feel free to contact us for more information or to arrange a visit to our campus. An online enquiry form can be found here. The Admissions Office is open from 7.30am-4.00pm during term time and from 8.00am- 4.00pm during school holidays. School Tours: Tours of the campus are available by appointment. Regular tours are conducted at 9am Monday and Wednesday.To schedule a tour on any day, please complete the Book a Tour form and we will respond to you within one day, or you can contact the schoolby telephone (04 288 0965) to book a convenient date.